It was my first morning out after a bike accident which left me in bed for almost a week. It felt so wonderful to be out to smell the flowers and hear the birds awake on a beautiful july morning in Upper Beaver Meadows. 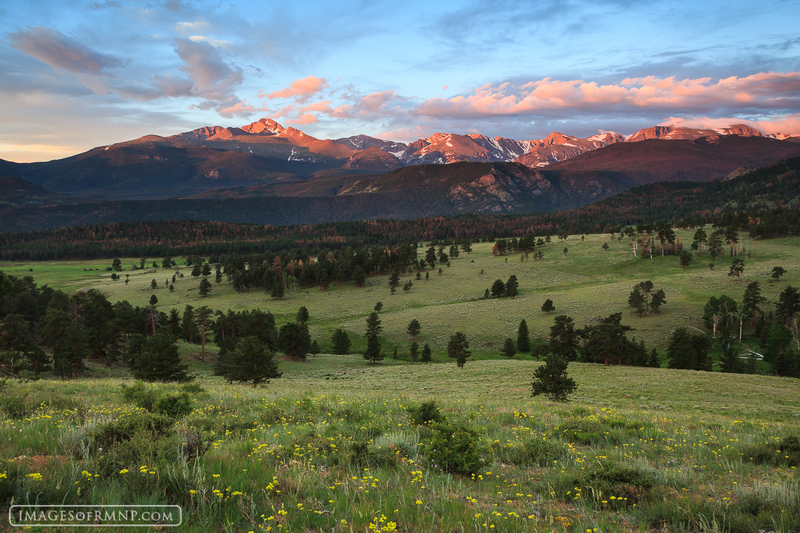 I didn't know if there would be much of a sunrise, but Longs Peak and the Continental Divide lit up beautifully as if to say, "Welcome back". Photo © copyright by Erik Stensland. « Back to search results for "Peaceful"